I was not sure how to approach this week’s prompt as I was born at the end of 1980’s. I decided to stick with pop culture references. Andy Warhol’s popularity was technically during the 60’s but I took inspiration from a 1981 piece he made of Madonna. There is no way I was going to paint this on my fingertips so I decided to go with a RA-friendly asymmetrical dotticure instead. I hope you like it! Can we take a moment to talk about how GLOWING this neon pink is? It is probably one of my favorite pinks and the bottle is almost empty. I tried to brighten the photo a little for skin tone purposes but it washed out the pink! I used Color Club Warhol as my base. I did not realize the coincidence until just now writing this post! I dotted with Zoya Pippa. 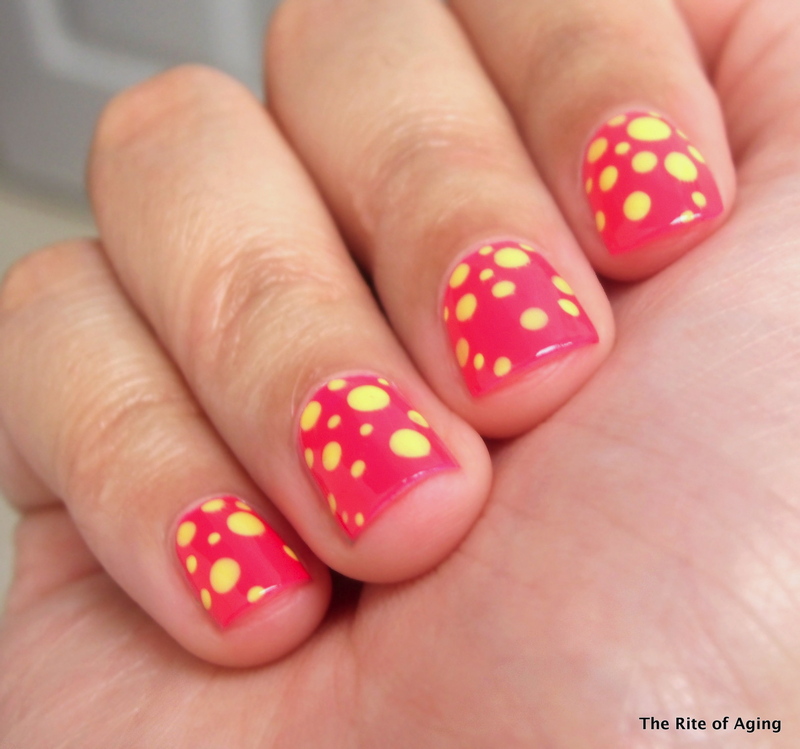 Don’t forget to check out the other 80’s manicures below!